NATO Cage + turns the RED Epic and Scarlet cameras into production-ready tools. Features arrays of mounting holes in RED standard spacing. 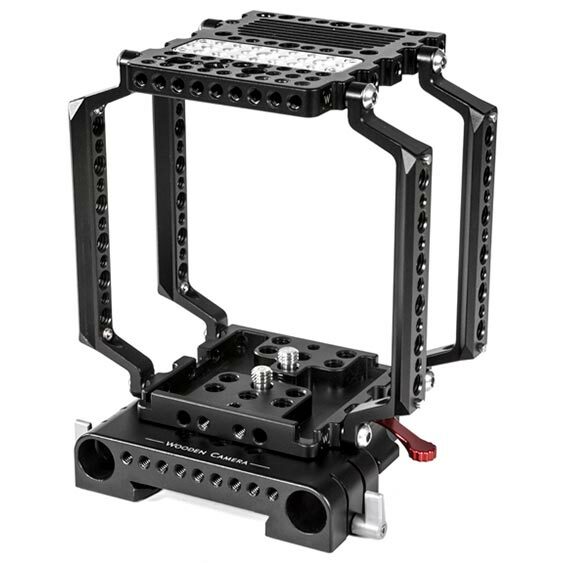 Bridgeplate (19mm) allows the camera to be mounted to any ARRI standard dovetail and provides for 19mm rods at correct lens height.